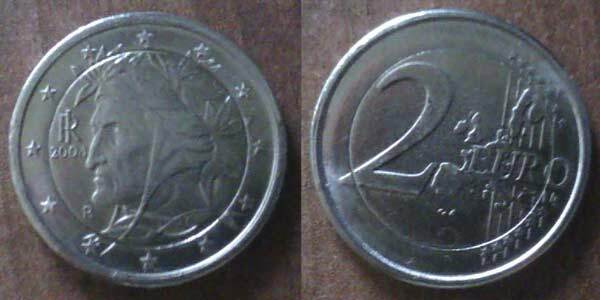 1 Euro 2002 from Italy. 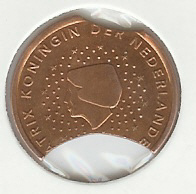 This spectacular error was found on EBay, there is a lack of material in the inner part and a very slight rotation in some part of the struck. This is a wonderful error. 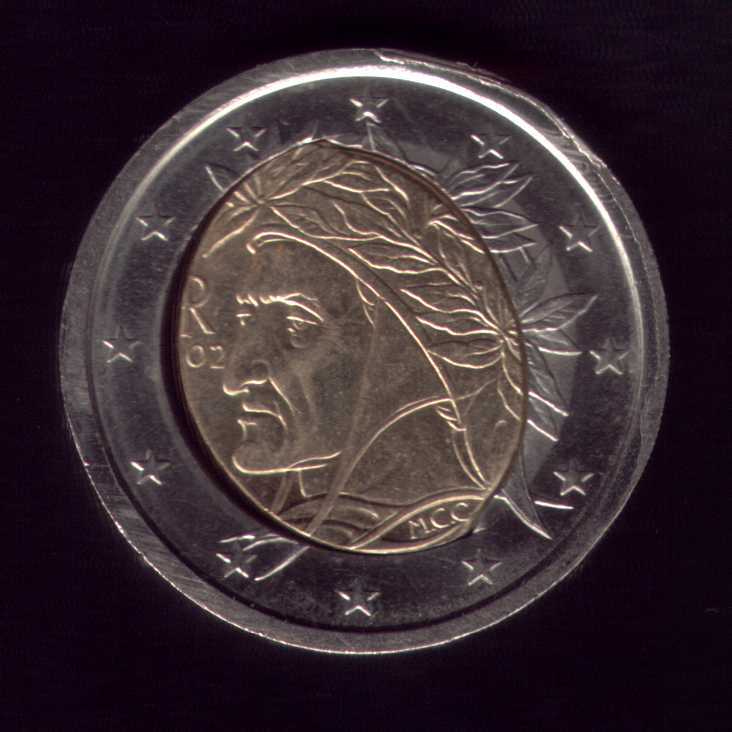 50 Cent 2002 From Italy with half off-ring. Thanks to José Rodrigo L. A. for the interesting error. 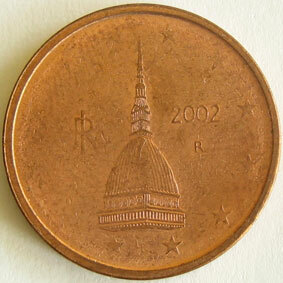 This coin is a 2 Euro Cent Italy 2002 with weack die. The images are provided by Danijel J, Thank you!. 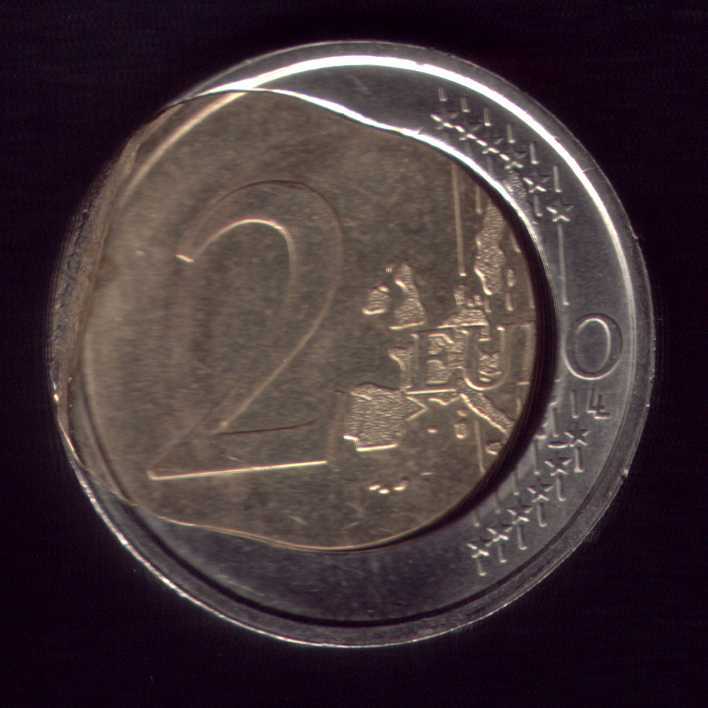 2 Euro 2004. This is apparently an error. 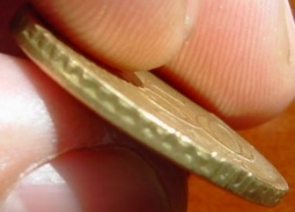 This is a fake coin. It is made from a one metal planket, details are poorly represented. Ring have only 6 stars. 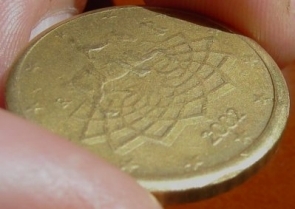 Found by Roman in his poket, in Slovakia. Thanks to Roman for nice images.